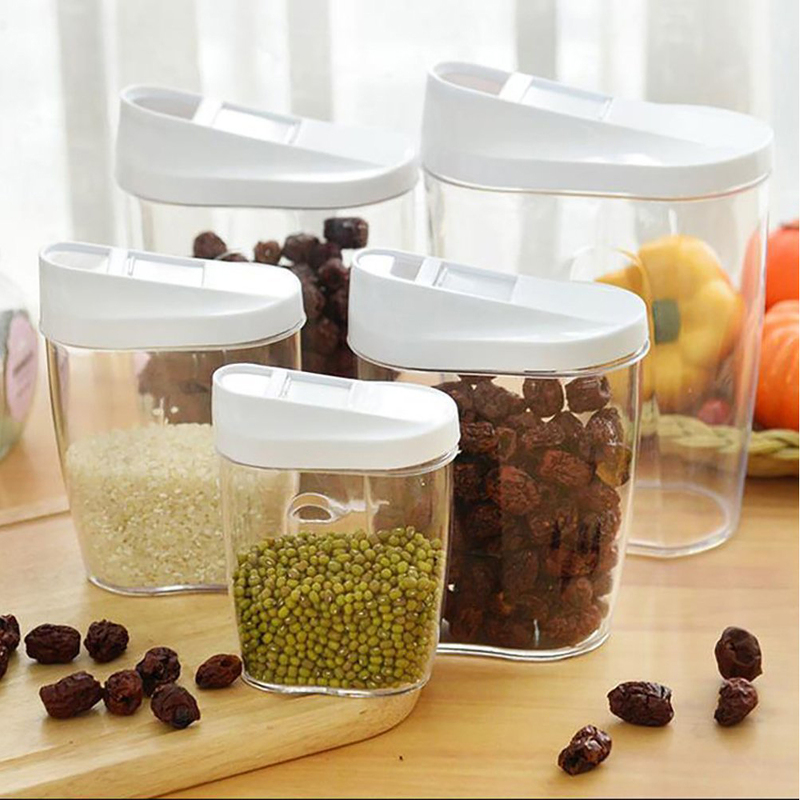 5 Piece Storage Jars Canister Set Great for storing cereals,pasta,dried fruit and other kitchen staples.Our containers have covers for a leak proof, watertight seal, keeping delicate foods fresh and contained. 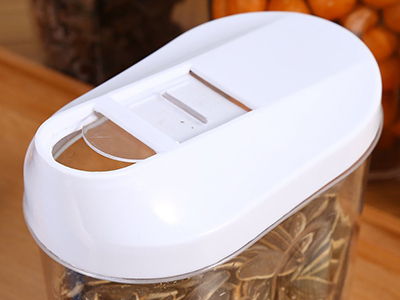 BPA-free and no dangerous chemicals to worry about: Your family is safe when you store your perishable food in canisters. No harmful chemicals to leach into foods. Unique pour spout lid system locking inside the lid ensures contents stay fresh. 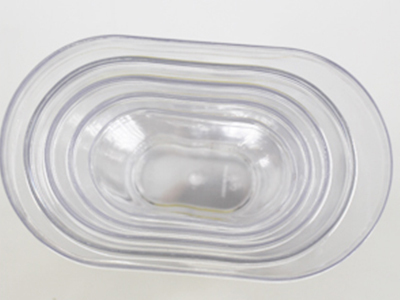 Featuring silicone airtight tight seal Lids Keeps Food Fresh Longer. Removable easy-pour spout lid system. Know exactly what in the canister at a glance: No more guessing games. 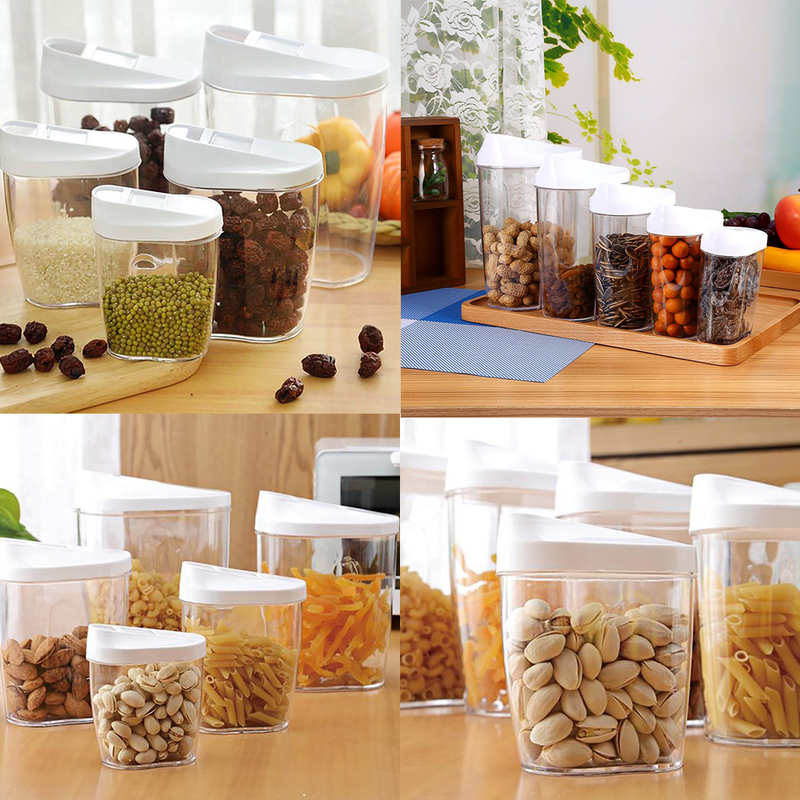 Even labels cant tell you how much is left in a container,transparent design for easy viewing of contents. 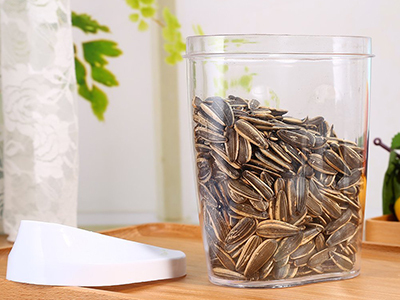 each container nests for convenient, efficient storage. Easy to take, save time and effort. 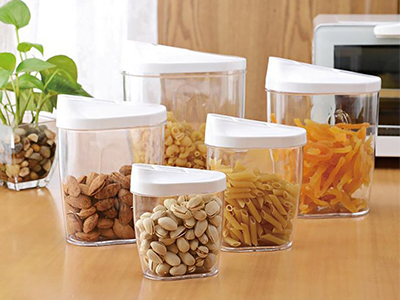 Great for storing cereals,pasta,dried fruit and other kitchen staples.